The fish farming industry in Iran has rapidly grown within recent years, doubling employment rates and multiplying its production. This activity began with the enhancement of the quality of fish species selected from the Caspian Sea and then continued through the development of intensive aquaculture utilizing different foreign species. Investing in the development of earth ponds, reservoirs and sea cages has become crucial for the local government, which supports the private sector by providing low rate interest loans and suitable land at competitive prices. 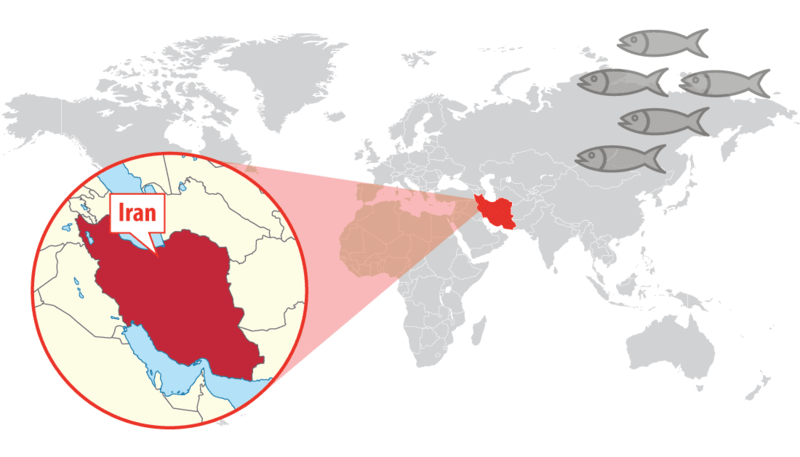 The Iranian Caspian Coast is one of the main pisciculture producing areas in the country and its territory is full of breeding pools. These ponds are filled on average once a year and then emptied at the end of the breeding season. This makes water quality control extremely important for the productivity and correct functioning of the fish farms. Afarinesh Samaneh Mehr Engineering Co. (ASM), Libelium official distributor in Iran, is active in a variety of fields including smart city, smart environment, smart agriculture, smart husbandry, safety, and security, among others. 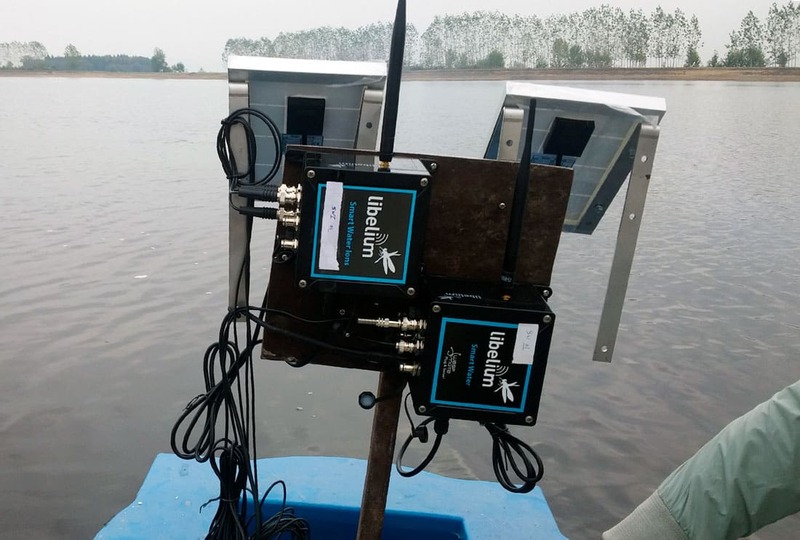 The company has developed a Smart Water sensor network to measure the water quality parameters of the fish farms in the North of the country. Water pollution is the first cause of financial losses in the market. The main objective of this project was to control water quality parameters in order to increase quality and productivity as well as to reduce costs and increase profits. Having information about water quality parameters in fish breeding ponds offers the fish farmers the possibility to manage their installations in an improved and more effective way, accelerating their inner processes. Experts list a large number of parameters that must be taken into account in order to favor aquaculture productivity. The pH and dissolved oxygen levels are some to consider. Additionally, other chemistry limits are also recommended to protect the health of fish, such as ammonium and nitrite, the main indicators of toxicity created by the feces of fish. 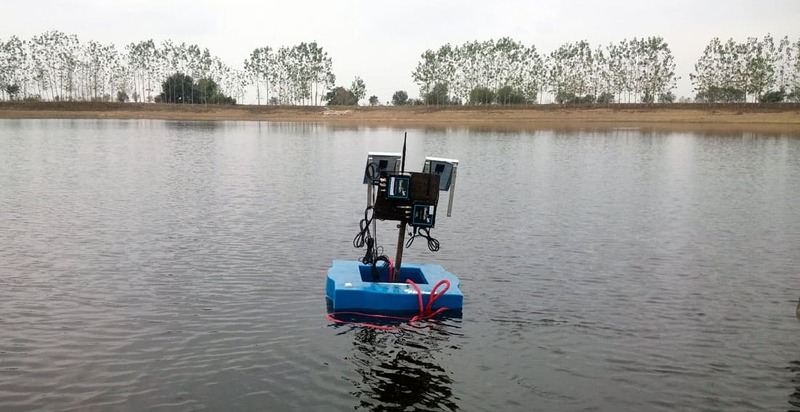 Each pair of nodes were mounted in a buoy and located in different locations inside the breeding pond in order to cover the biggest possible area in the pool.Taking into consideration the nature of the project with all nodes installed inside the fish farm ponds, the ASM engineering team decided to use solar power in order to ensure a continuous energy supply. Communication protocol between the devices and the gateway was LoRaWANand between the gateway and the cloud platform, cellular 3G. 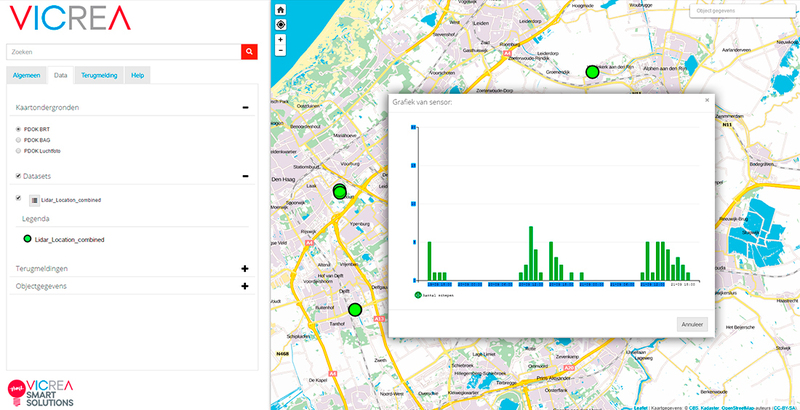 ASM used Loriot network server for handling LoRaWAN connectivity, being the platform used for visualization Thing+, which allows real-time control of parameters and also obtains diagrams and tables showing sensor values. The highest mortality rates in aquaculture are due to the quality of water, and monitoring the water conditions can reduce by 30% to 40% of the casualties. This is also essential to meet international regulations to assure fish quality and farming conditions. Thanks to this system, fish farm facilities can demonstrate that implementing their monitoring methods and automating their activities will put them in a much better market positioning than others that are still working in a traditional way. Low power, versatile and semi-autonomous devices. Wide range of sensors and measurement probes. Ability to support standard radio and (secure) communication protocols. Ease of integration with cloud based solutions. Reliability and durability of the IoT platforms and sensors. Accessibility to embedded software platform (open source or otherwise). Simple and easy installation and deployment of the nodes on site. The ASM Engineering Team was completely satisfied after the installation of the system. 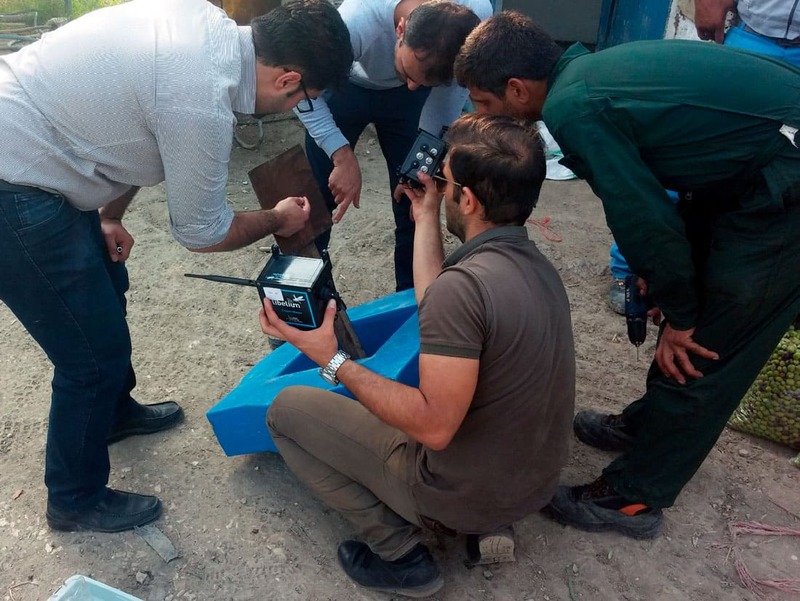 “We succeeded in completing this project with Libelium products and we are fully satisfied with this equipment”, comments Ali Bordbar, Marketing & Business Development Manager at Afarinesh Samaneh Mehr Engineering Co. 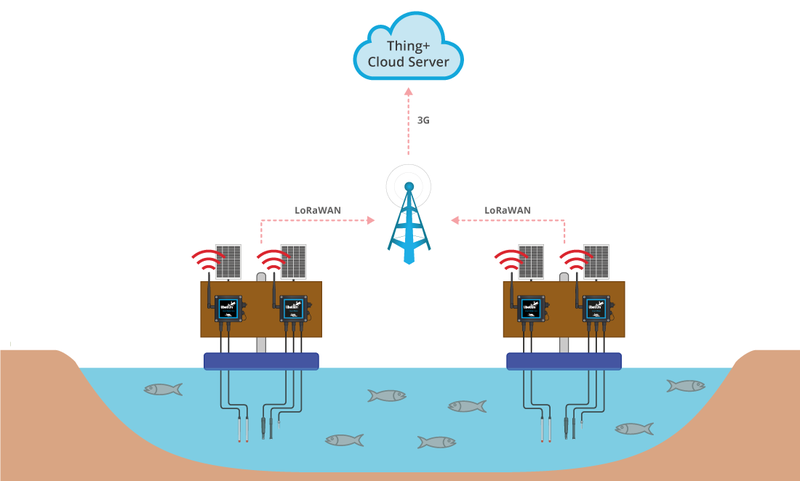 This entry was posted in IoT and tagged ASM smart water project, Iranian fish farming, Libelium, smart sensors, smart water sensor, waspmote on February 21, 2018 by Tim Cosgrove. Precision agriculture is gaining presence among the most delicate and challenging cultivations. Viticulture, which has been extremely linked to the progress of the seasons and the variations in temperatures, is becoming a great indicator of climate change. Experts verify that the most influential factors for the correct growth of the grapes are temperature and hydrological stress. Heavy rains, high temperatures and prolonged drought periods are the most harmful meteorological phenomenons. Precision viticulture seeks to maximize the oenology potential of the vineyards, adapting to extreme conditions, in order to obtain a high quality standard and to augment the productivity of the crops. In this adaptation process to the new climate conditions, several wine-growing companies are redefining their strategy, implementing Libelium’s sensors in their fields. By knowing the conditions that affects the vines’ growth, the winemakers and oenologists can calibrate the different parameters that give character and quality to the wine. For instance, tanines and anthocyanin pigments that bring color to the wine depend on the ambient humidity and CO2 levels. Climate conditions and temperature changes also influence the wine’s acidity, which has to be elevated so the wines can last longer. There are various well-known wine regions all over the world, having the Mediterranean the longest history of wine production. 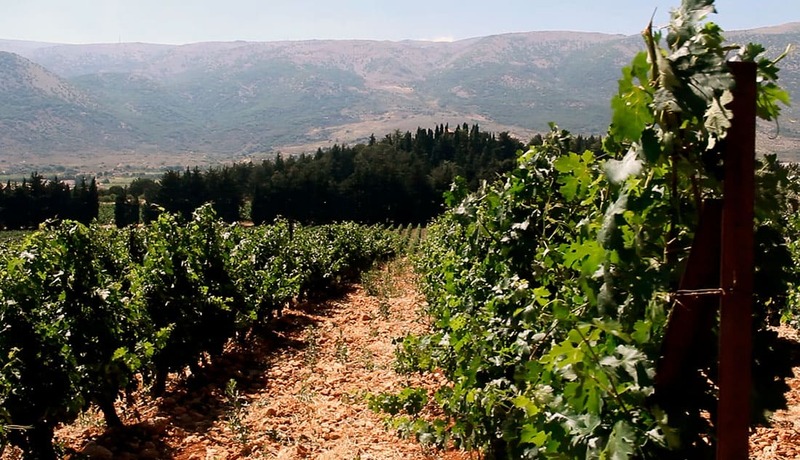 Specifically, Lebanon has been center of the wine industry for centuries, being point of origin for this tradition all over the Mediterranean area. Château Kefraya is one of the most modern wineries in the country. Located in Beqaa Valley, extends its vineyards over more than 300 hectares at 1000 meters above the sea level. This company has trusted the experience and know-how of Libatel, leading Information and Communication Technology Systems Integrator, to deploy an agriculture sensor system in its fields, based on Libelium’s technology. Libatel is a privately-held company established in Beirut, with offices in Qatar, Saudi Arabia and United Arab Emirates. This company has a highly trained, motivated and efficient team who totally committed to deliver advanced systems, communications and software integration for businesses of all sizes, across all industries, in the private and public sectors. 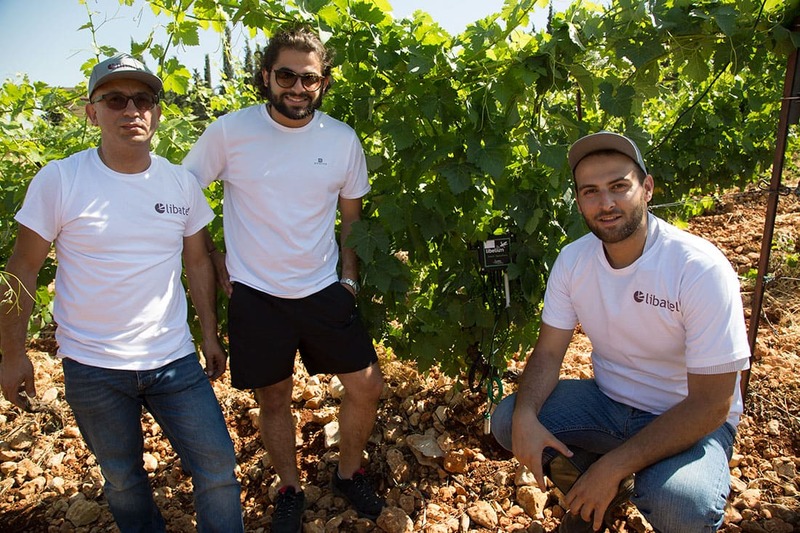 Libatel, in collaboration with Ogero Telecom, Université Saint-Joseph ESIAM and Château Kefraya winery, have developed an agriculture sensor network for vineyards based on Libelium wireless sensor network. The main aim of this viticulture precision project is to compile soil and climate information and their effects in the grapes. The information, automatically gathered by the sensors, is analyzed and different techniques are compared. Until now, parameters were measured manually in a hard, long and expensive process. This new sensors network offers quicker and clearer results. 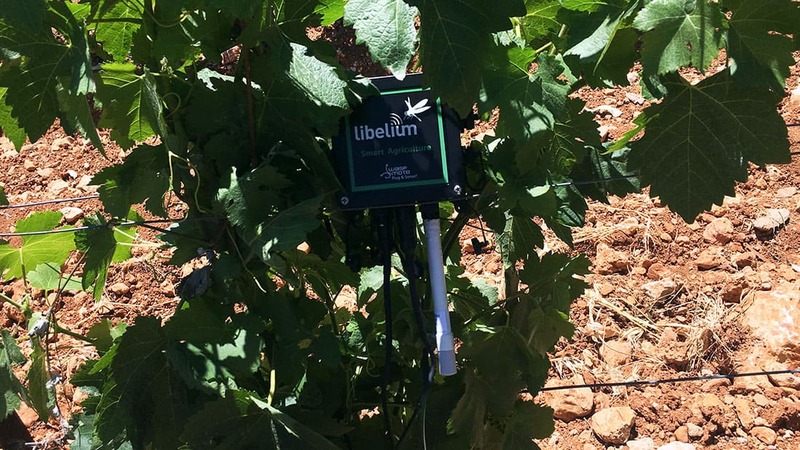 Libatel has installed several measuring points all over the vineyard to monitor relative humidity, temperature, and soil humidity, among others. 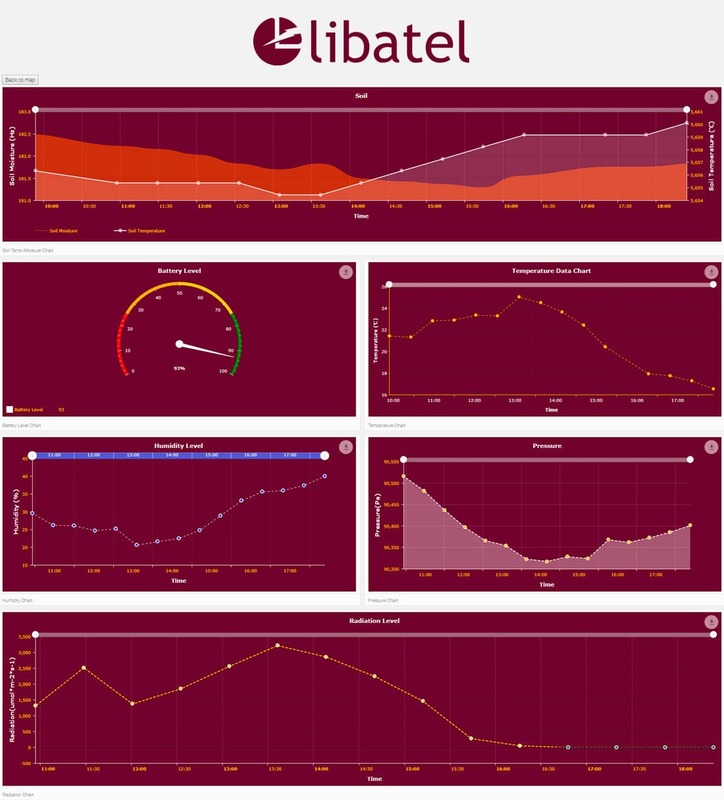 Compiled real-time data is sent to the back-end platform, specially designed by Libatel, where is analyzed. This information is accessible from a computer or a smartphone, allowing the winery workers to obtain data automatically and to take decisions in a quicker and more efficient way. For instance, they can determine where, when and for how long a vineyard should be irrigated to optimize resources obtaining the best results. Six nodes have been installed in different locations in the vineyard, directly at the grapevine trunk, on grape level. 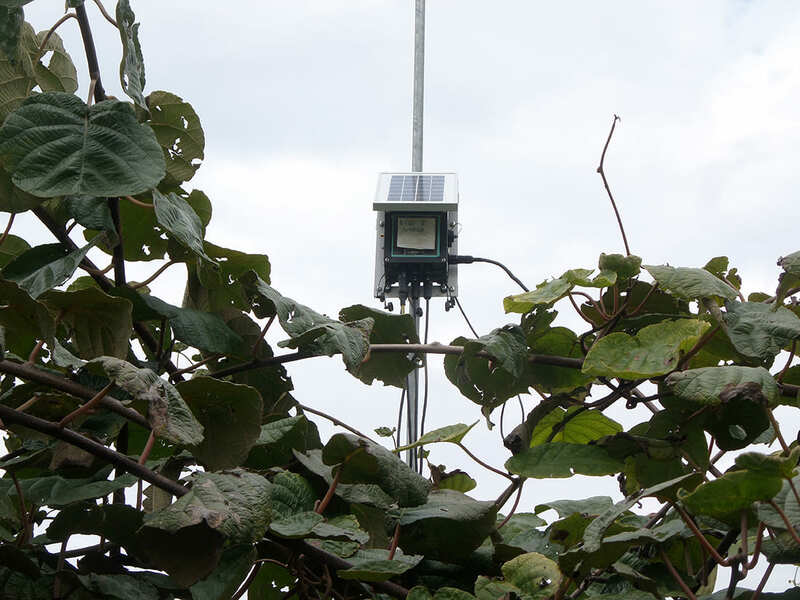 One node has been installed next to the vineyard, the objective of this node is to compare the external weather conditions with the grapevine micro-climate. The latest measuring point is saved for various testing purposes and debugging. Every device is installed in a representative grapevine in each parcel. The first six nodes have been deployed next to the vines and have been distributed in a manner to cover all the parcels depending on their configuration: altitude, type of soil, training system, plantation density, vigor and slope. Temperature, humidity and atmospheric pressure. 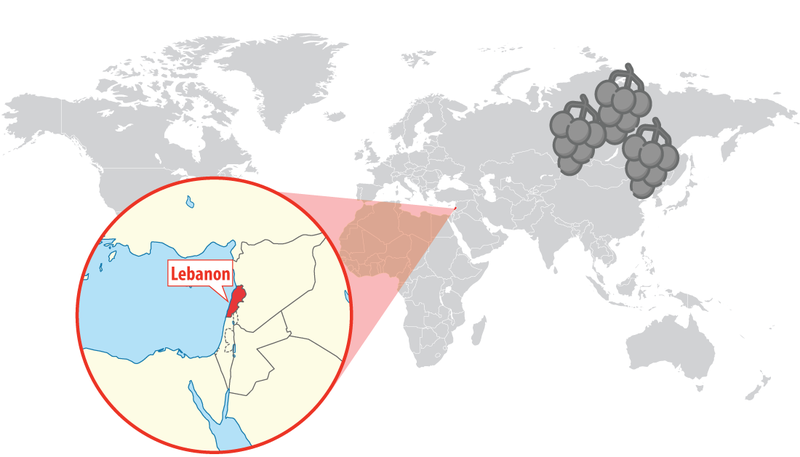 Ogero Telecom, the main telecom operator in Lebanon, which collaborates in this deployment, is working on the design of an IoT LoRaWAN network over the country. This network allows universities, institutions and private companies to benefit from this infrastructure for their research projects. The information compiled by the sensors is directly sent to the Kerlink Gateway using LoRaWAN communication protocol. Once the information is received by the gateway, data is sent via 3G internet connectivity through SIM card to the Actility’s cloud platform and to Libatel private servers consecutively, where dashboard and applications are developed. This way Château Kefraya becomes the first Smart Vineyard in Lebanon thanks to Libelium technology and Libatel software development, which also includes support and maintenance for the whole system. The major objectives of this project are to increase productivity and efficiency of the crops, improving customer service quality and adaptability to external elements. 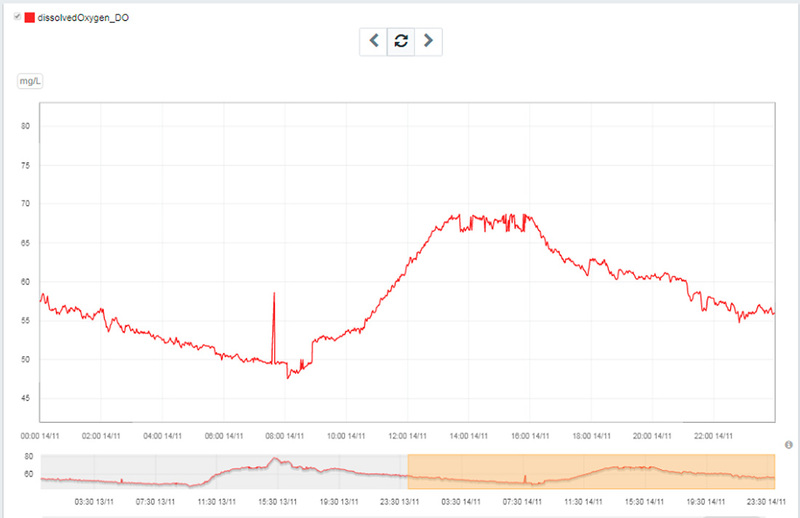 Remotely monitoring micro-climate parameters inside the vineyard. Accessing real-time data from any device at any time. Collecting data to inform both current and future work. Resolving problems with insightful analytics. This tool allows the agricultural engineers to take more accurate decisions to better adapt to changes and new circumstances in order to produce high quality wine, preserving its character and features. This project also contributes to the implementation of LoRaWAN networks in the Lebanese territory, consolidating the Internet of Things in this country. Maher Choufani, IoT Project Manager at Libatel, highlights that “the main reason why we chose Libelium is their great name in the sector. Besides, the company has large experience with similar cases in precision viticulture and agriculture”. “Waspmote is a horizontal sensor platform that allows us to add many sensors to one sensing node. The Libelium IoT sensor platform offers exceptional interoperability and the fact that Libelium achieved projects previously with Actility and Kerlink, which we partnered for this project, determined our decision undoubtedly”, adds Maher Choufani. For Mr. Imad Kreidieh, Chairman and General Director Ogero Telecom, “the project was very successful and motivating, especially in terms of improving productivity and agriculture which we depend on in exporting our goods”. The end user, Château Kefraya winery, makes emphasis in the “improvement of the automatic data collection thanks to the Libelium sensor platform. This system enables us to obtain real-time information, expanding our knowledge and allowing us to better manage our time and resources”. This entry was posted in Smart Cities and tagged Kefraya winery, Libelium, Ogero Telecom, Precision agriculture, Smart Vineyard, Universite sainte-joseph ESIAM, Viticulture on November 29, 2017 by Tim Cosgrove. Libelium has contributed to the book “Your consumption can change the world” written by Brenda Chavez, journalist and lawyer. Alicia Asín, Libelium CEO, has given her vision about worldwide market trends specially about the change that technology is making in all sectors putting people at the core of everything. “The new industrial and technological revolution in all verticals of the market involves for the first time in history, not only companies or governments but also individuals“, has stated Alicia Asín. The idea of the book is to show that everyone can make a decision and that the act of any consumer influences a global way of production. One of the IoT key sectors, and also for Libelium, are the Smart Cities. Alicia Asín has always warned about security issues but also highlights the great possibilities that wireless sensor networks provides in cities: “Urban mobility (bike-sharing, car-sharing, community or electrical cars, etc. ), renewable energies or innovations such as smart grids or smart lighting that can cut down the electric bill adapting the weather needs”. The IoT consists on connecting everything to the Internet to gather information, study it and also optimize this data. “We can reduce CO2 emissions, the time we spend searching for a car park, automate irrigation systems and also develop smart urban plans”, has pointed Alicia. Discover the book trailer on Youtube. If you are interested in the book, visit this website. This entry was posted in IoT and tagged Alicia Asin, Brenda Chavez, IoT, Libelium, Your consumption can change the world on May 9, 2017 by Tim Cosgrove. Italy is the second major kiwi producer after China with a saleable production around 448.000 tonnes last year. Both countries with New Zealand, Chile and Greece suppose the 93% of worldwide production by a research of the Centro Servizi Ortofrutticoli (CSO). 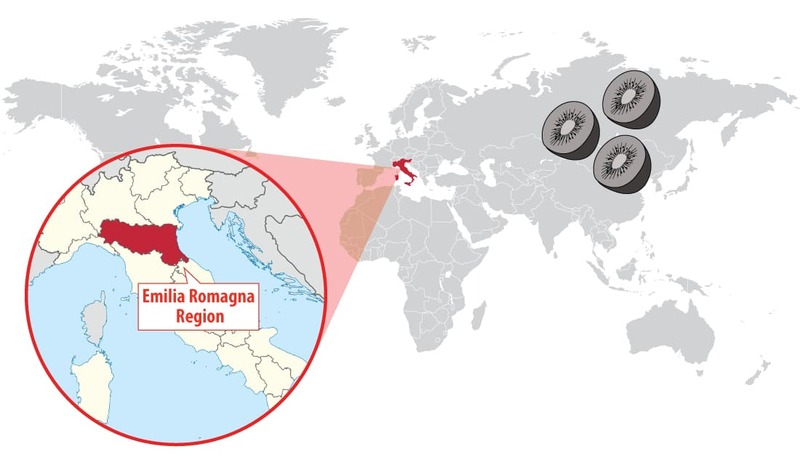 The CSO informed in 2015 that the grow surface for kiwi on the Mediterranean country was 24.440 ha, most of them in the regions of Lazio, Pedemont and Emilia Romagna. 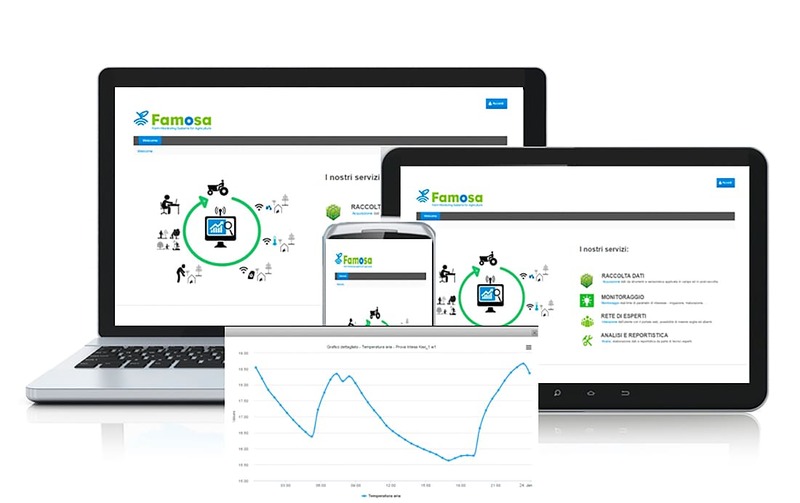 FAMOSA is an Italian company that works on technology-based support for agriculture, offering solutions for crop monitoring and management. 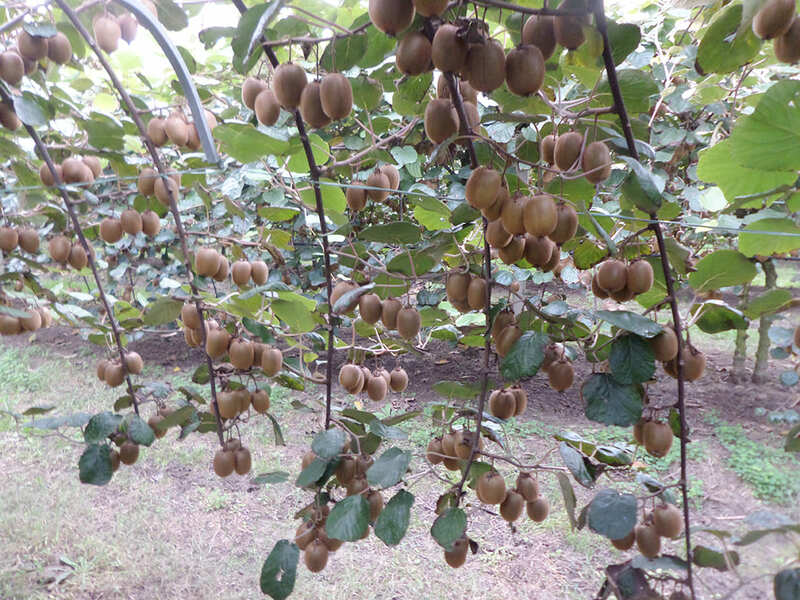 They have developed wireless sensor networks, based on Libelium technology, in a kiwi plantation with GPRS and Sigfox to develop accurate irrigation strategies for farmers. Kiwifruit is one of the most sensitive fruits in terms of quality which is given by size, sweetness and dry matter. In order to reach the best quality, the Rivista di Frutticoltura e di Ortofloricoltura considers that it is essential for farmers to develop a good irrigation strategy to attain marketable products and to reduce product losses. Agriculture organizations are deploying cutting-edge technologies in their plantations to improve processes, to maintain high quality standards and to ease farmers daily works. “We have chosen Libelium Waspmote Plug & Sense! Sensor Platform for its wide range of sensors and the easy development of software for data acquisition and transmission”, has stated Massimo Noferini, CEO of FAMOSA. 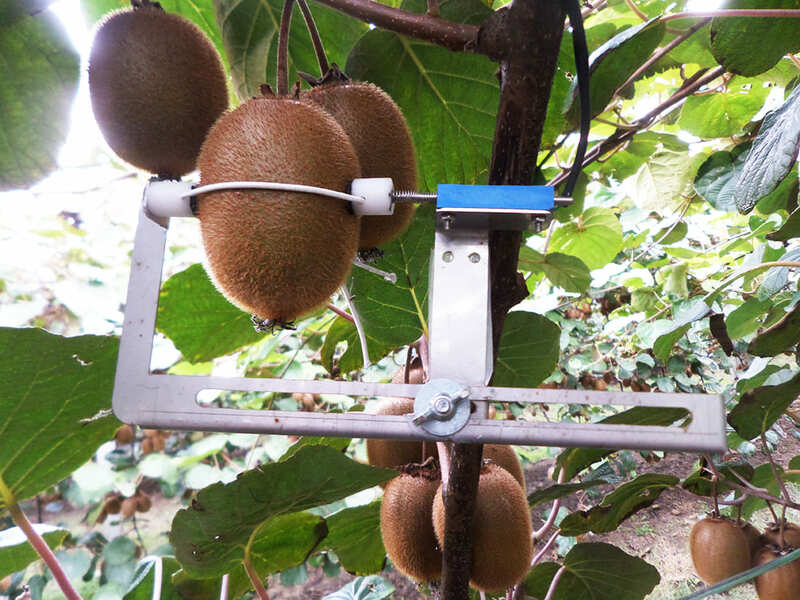 For this project, the company has installed two different wireless sensors to monitor soil water status to plan irrigation in a kiwi orchard. 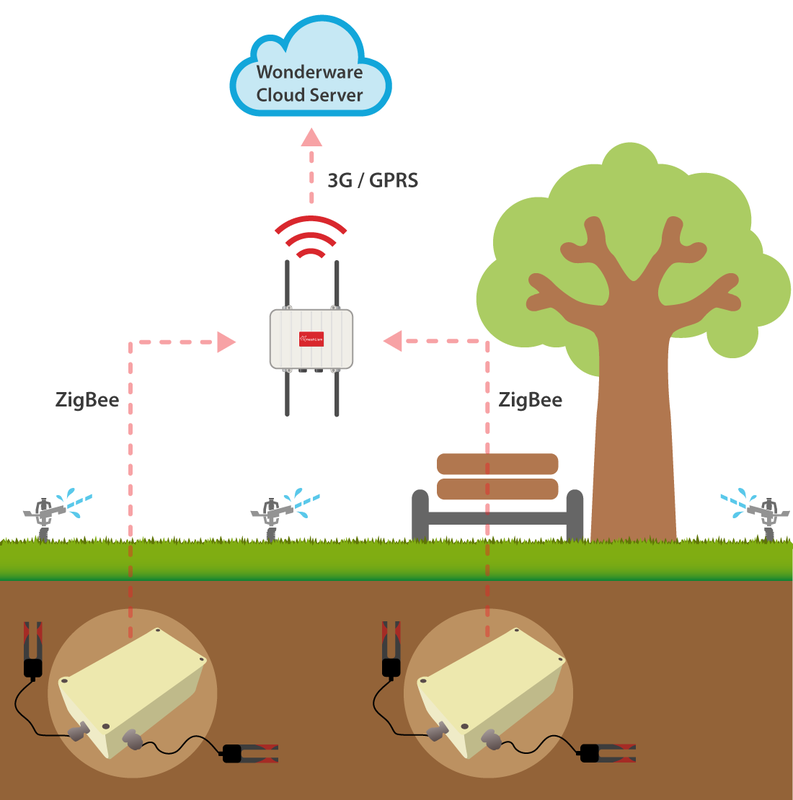 Data has been recorded with the same system but information has been transmitted to the platform by two different wireless connection: GPRS and Sigfox. The main aim has been testing reliability and costs during 2016 kiwi growing season. Two Waspmote Plug & Sense! Smart Agriculture have been deployed with watermark sensors in different depths to control soil moisture with fruit diameter sensor to measure the size of the fruit; and temperature and humidity sensors to monitor environmental conditions. One of the sensor platforms is connected to a GPRS shield and the other with Sigfox. The first one represents the classical widely used data communication network and the second one the rapidly diffusing LPWAN technologies. 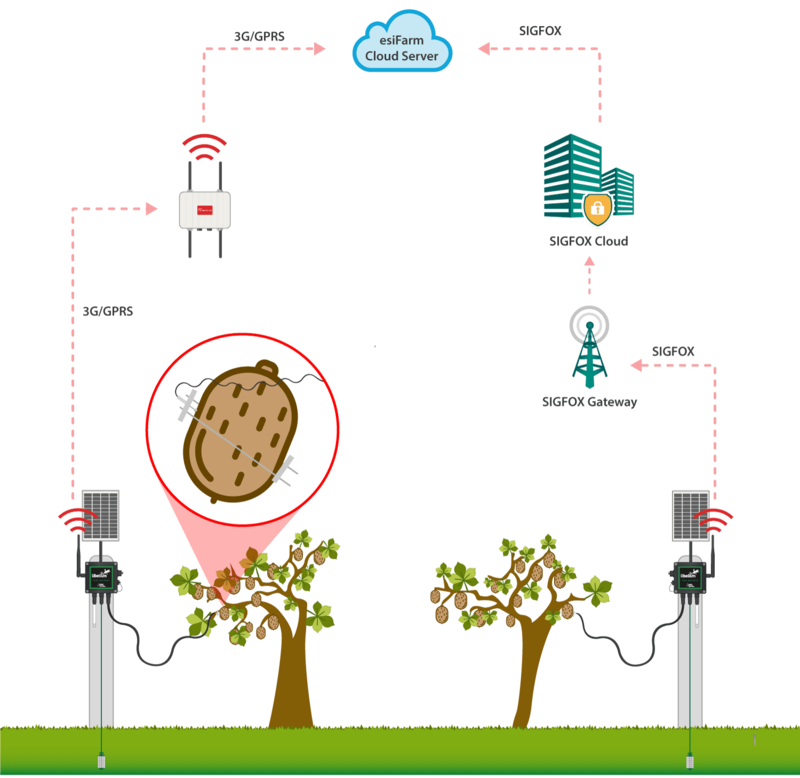 The information collected by the sensors has been sent to esiFARM, FAMOSA’s platform, that includes both GPRS and Sigfox technologies. To manage GPRS stations however a server has had to be configured. In this case Meshlium IoT Gateway has been used embedding Meshlium Management System making data handling easier. Farmers can get valuable information to schedule irrigation timing to avoid stress conditions, which is fundamental on kiwi plants. A server is needed to host data that has to be maintained by the local services. There must be GPRS/3G/4G coverage. It is needed power consumption hardware because GPRS node requires a long-duration battery pack or external power supply. The hardware needs to stay awake for a long-time and requires a longer communication session. It needs a SIM card that usually takes some days to be activated. Even if international SIM cards are available, there is a strong dependence to a contract which make connections liable to changes and reliability. It dumps data to a unique service which is accessible worldwide: data can be managed autonomously or by an intermediate service. Coverage is already diffused in Italy so it is not available everywhere although it is rapidly growing worldwide. It doesn’t need a handshake step with the network, while based on an acknowledge response. Communication is very short and allows the device to stay dormant for a long time allowing a much longer duration to batteries. Registration is quicker than GPRS, based on an annual fee. The final user has not been aware nor suffered the difference between the communication through GPRS or Sigfox. Battery pack proved to have a life long enough to cover the season both in Sigfox and GPRS devices. In general, any field deployment should be as simple as possible and have a ready and reliable answer during installation tests. Developing technological projects in rural areas may involve several difficulties because of the absence of physical communication infrastructures and the costs which are often unaffordable. However, wireless sensor networks suppose a great opportunity because of the low installation, maintenance and also operative costs. FAMOSA is collaborating with farmers to introduce the IoT approach with esiFARM in their fields. The platform allows to collect information from the sensor platforms and other information sources such as georeferenced cameras pictures or multispectral analysis of satellite imagery. EsiFARM includes models to help farmers in decision and alerts (irrigation, pathogens and maturation). 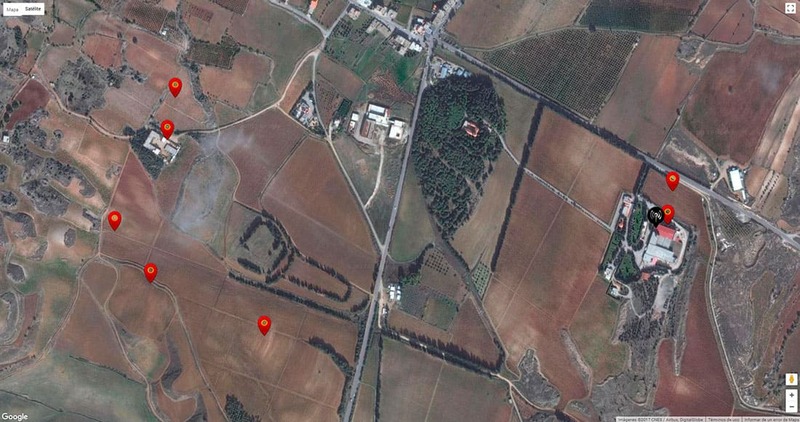 “Farmers were impressed by the ease of the installation, which proved to be able to give real-time and comprehensive information in less than one hour of full installation”, has argued Massimo Noferini, CEO of FAMOSA. During 2016 season between March and October the decision support system has worked well and continuously. Farmers have been able to monitor without interruptions soil water status to have irrigation always under control. The deployment of soil water status sensors at different depths has allowed to compare the effect of irrigation strategies. Farmers have had a prompt warning about any water stress condition to recover from a growth deficit. In this kiwi project, the irrigation system was activated by the farmer. This entry was posted in IoT and tagged Famosa, GPRS, Libelium, Sigfox, smart irrigation on April 12, 2017 by Tim Cosgrove. Volcanoes are one of the most unpredictable and impressive natural phenomenons. Worldwide researchers and scientists have always been trying to discover what happen inside volcanoes to predict future eruptions that will save lives. Their activity has provoked along years great disasters destroying entire settlements with lava flows and also endangering the environment or human health due to gas emanations or ash falls. Some vulcanologists are currently focused on working with the latest technology to monitor in real-time everything that happens inside and outside the crater to predict eruptions. Qwake, a global brand that merges ground-breaking scientific expeditions with cutting edge technology to drive positive change, has trusted in Libelium technology to develop a wireless sensor network in the Mouth of Hell, Masaya volcano in Nicaragua. Masaya is one of Latin American most active volcanoes. In fact, in 2008 during September, November and December the caldera threw ash and steam rising a height of 2.1 kilometers. At this time, there is a lava lake in one of the craters with 600 m2dimension that offers an unprecedented glimpse into the dynamic behavior of magma plumbing system including cascading as explosions, emission of lava jets, etc. Qwake team, with explorer and filmmaker Sam Cossman, Nicaragua government, Libelium and General Electric (GE) have worked in this project to bring the first volcano online. The expedition took place along July and August 2016. The team was looking for a wireless monitoring system able to collect, transmit and store data in real-time. For this reason, they chose Libelium to get information directly from the crater. In order to access safely to Santiago Crater, the open air lava lake, Sam Cossman and his expedition team developed a zip line system to solve some previous challenges and efficiently descend personnel and gear there. It allowed to install the Waspmote Sensor Platforms next to the crater to get data in one the most extreme and challenging environments. 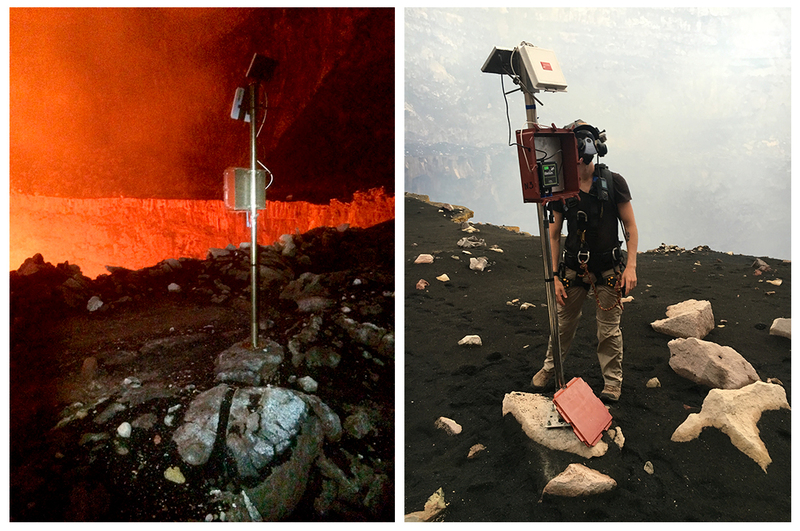 The Sensor Platforms deployed in Masaya volcano were Waspmote Plug & Sense! Smart Environment PRO and Waspmote Plug&Sense! Ambient Control as data repeaters. Sensors connected to Waspmote Plug & Sense! Smart Environment were more than 80 and measured CO2, H2S, temperature, humidity and atmospheric pressure. The encapsuled sensor platforms were vacuum-sealed to be protect against the heat inside the crater and also in areas next to the volcano. 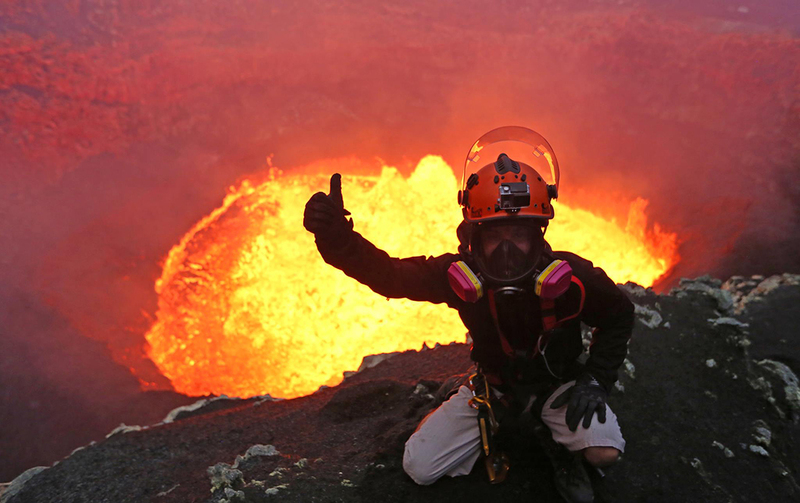 There were around 150 degrees Farenheit (about 65 Celsius degrees) where most of the sensors will be placed, although parts of the active volcano reach 800 to 1,000 degrees Farenheit (between 426 and 537 Celsius degrees). Waspmote Plug & Sense! Smart Environment PRO sent information directly to Meshlium Gateway and in some cases to Waspmote Plug&Sense! Ambient Control when there was low signal acting as repeater stations. This data was sent through XBee900HP. The IoT Gateway collected data and sent the information through 3G to GE database were after was visualized in Predix, a cloud-based software platform GE developed for the Industrial Internet. 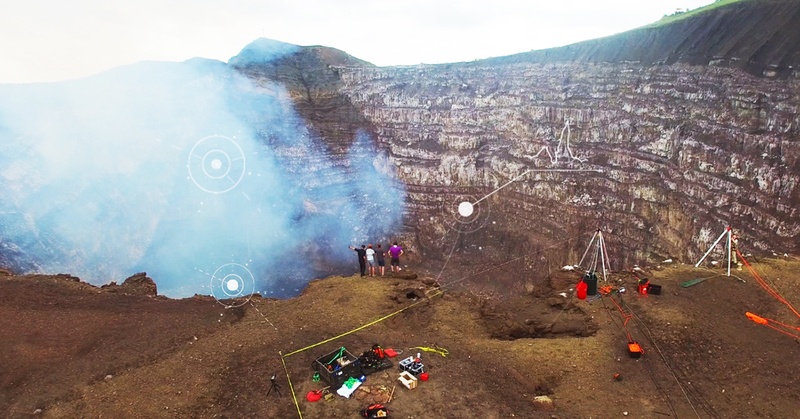 One of the explorers from Qwake, Hugo Nordell, explained the benefits of using Libelium technology in Masaya volcano project: “Our team was able to quickly setup and ensure that data was captured correctly. 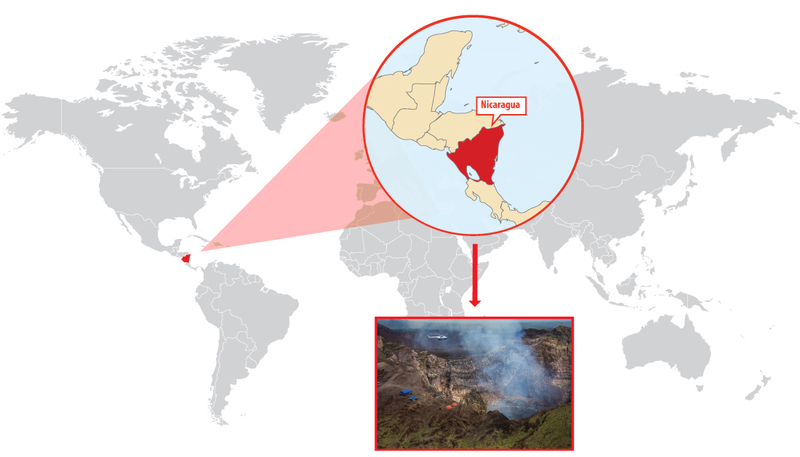 This allowed us to focus on solving actual problems related to deploying the sensors inside the crater and bringing the Masaya volcano online, rather than having to deal with connectivity and underlying data transfer”. The main aim of the project has been building a digital early warning system to predict volcano eruptions. This information will be used by researchers and data scientists to build a family of “digital twins” to simulate digitally what is happening inside the cater. 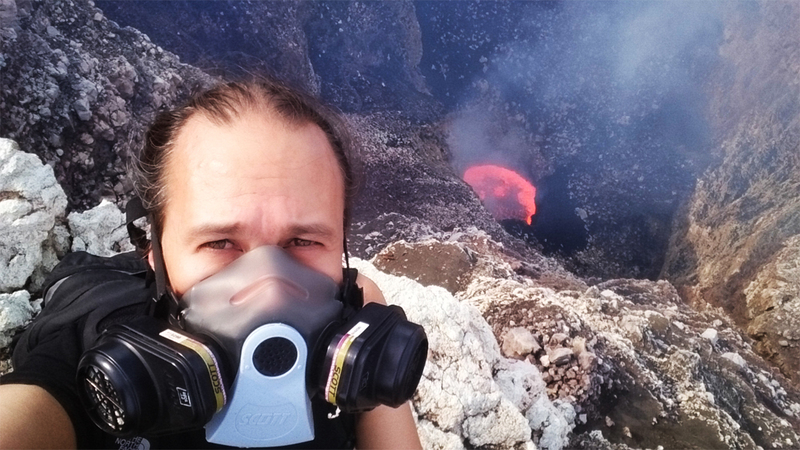 The vulcanologist who has participated in Qwake project, Guillermo Caravantes, has been widely researching about Masaya. He has explained that it represents “a real danger” for inhabitants from villages next to the volcano. “We could potentially have millions of lives at risk. It could happen at any time and the problem is that we are not able to predict when this could happen or what sorts of signs from the volcano”, asserted Guillermo Caravantes, vulcanologist from Qwake. The ultimate goal of the project is providing a public service by giving access to the general population and decision makers enabling them to experience an active volcano in real-time. 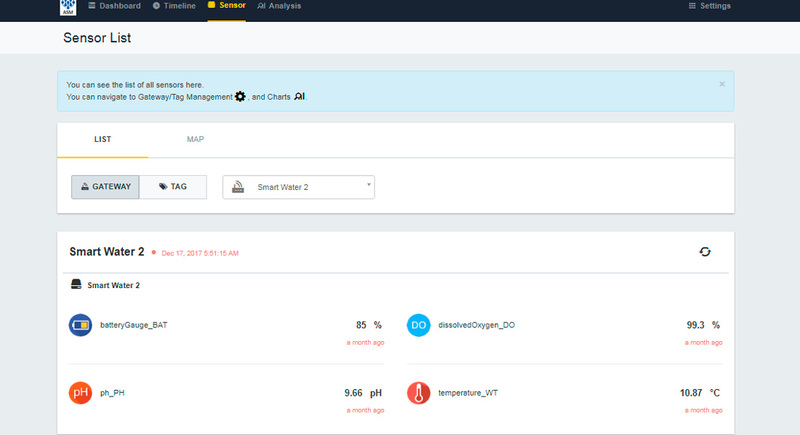 The predictive analytic tools built on the cloud-based platform uses a combination of data gathered over more than 20 years of fieldwork at Masaya and also information gathered by the sensors connected to Waspmote Plug & Sense! Sensor Platforms installed in this project. All this data will help to anticipate volcanic crisis, and act as a pioneering, first-of-its-kind Early Warning System. After this project, the expedition believes that there is potential for huge applications in worldwide volcanoes. 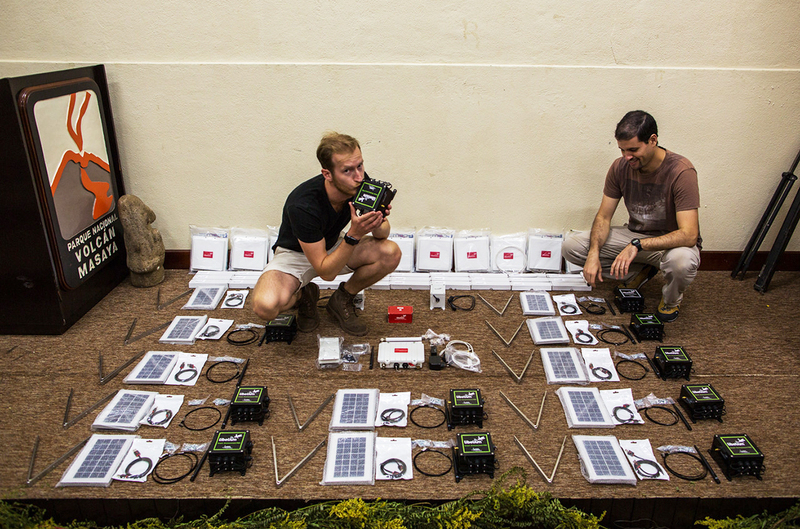 To discover more about Masaya volcano expedition and the wireless sensor network development view our photo gallery. This entry was posted in IoT and tagged Libelium, Masaya Volcano, Wireless Sensors on January 25, 2017 by Tim Cosgrove. 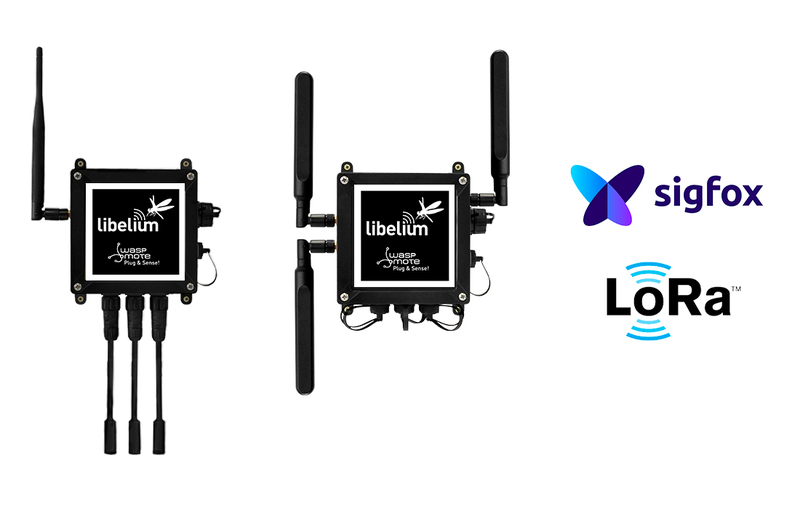 San Francisco and Colorado are the first North American regions with smart water and smart environment projects deployed with Libelium’s technology connected to LPWAN protocols. 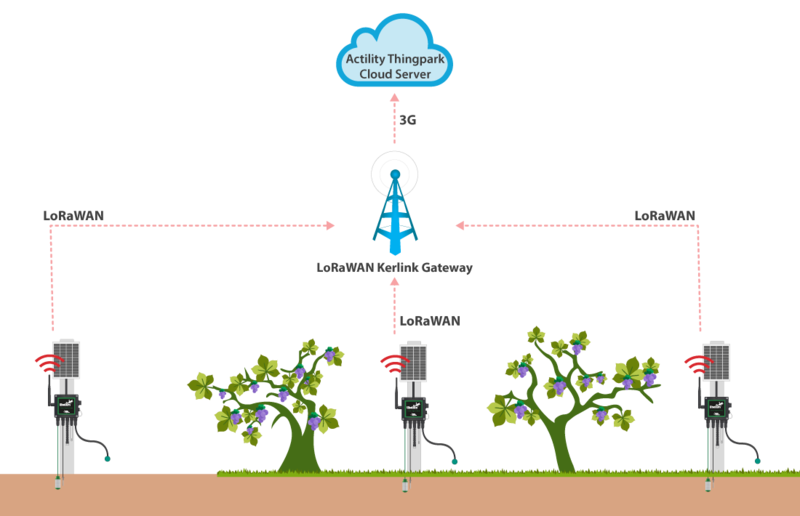 Libelium continues powering the Internet of Things (IoT) development adding LoRaWANand Sigfox wireless connectivity for North America to Waspmote OEM and Waspmote Plug and Sense! sensor devices. San Francisco is one of the first cities to deploy this technology, where Libelium is already developing a Smart Water project with Sigfox and San Francisco County. In Colorado, Libelium technology is also enhancing new projects to monitor weather and environment conditions with LoRaWAN connectivity. Libelium keeps offering the widest interoperability in the great array of connectivity choices for the IoT. The company is joining forces with LoRaWAN and Sigfox global network in response to strong demand for low-energy, long-range and cost efficient IoT connectivity in North America. In terms of network coverage, Semtech is partnering with Comcast to deploy LoRaWAN networks in 30 cities while Sigfox is expanding its network to 100 US cities. “We are successfully offering these protocols in their European version since 2015 and checking its viability for environment, pollution, water quality and smart parking applications. We strongly believe that making them available in their American version will speed up market adoption in the 900 MHz markets” states Alicia Asín, Libelium’s CEO. Customers can make their choice of LPWAN preferred protocol for Waspmote Plug & Sense! in 900MHz or 868MHz bands -depending on geographic destination- when ordering except for Smart Parking model, where both radios (LoRaWAN / Sigfox) are always included. “We have managed to offer a dual radio in our Smart Parking node at a very competitive price, which increases our customers’ options, one of our design principles. They can compare the performance of both technologies in one installation, work in hybrid networks or change from one to another easily from the Cloud. We consider this kind of features crucial to keep a healthy and competitive IoT landscape” explains Asín. With this update, Libelium IoT Sensor Platform is ready to use the 900-930 MHz band forthe U.S., Canada, Mexico, Singapore, etc. The platform currently includes FCC and IC certifications for the US and Canada. This entry was posted in Uncategorized and tagged IoT, Libelium, LoRa, LoRaWAN, San Francisco, Semtech, Sigfox, smart cities, waspmote on November 17, 2016 by Tim Cosgrove. In t the Netherlands there are many waterways, small inland harbors and canals that are used by citizens in their daily routines. Each city has a water infrastructure with high-density shipping traffic. For municipalities, provinces and other potential canal authorities such us Ministry of Infraestructure, it is essential to provide a system able to control the amount of boats that sails in an area an also automate the opening and closing systems of the bridges. Vicrea is a dutch company specialized in Smart Integrated Information and Geographic Systems and Smart City solutions. 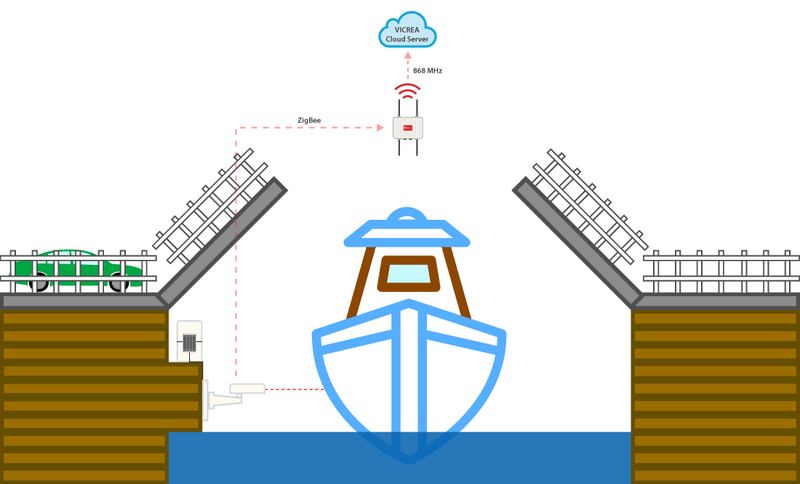 The company has developed a wireless sensor network with Libelium technology to manage canals traffic in the Netherlands by controlling the flow of boats. This solution arises with the objective to know the amount of ships that sails in the canals and also their direction to plan the water infrastructure. 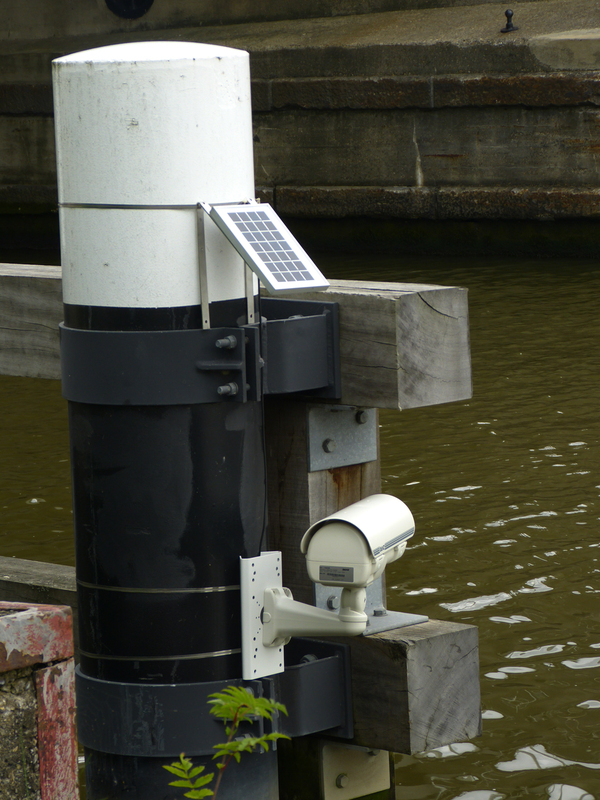 It has been already deployed in some of the most touristic and well-known cities from the Netherlands: Delft, The Hague, Leiden, Alphen aan den Rijn and Gouda. There is a wide range of boats that sails on the canals: cargoboats, commercial passenger ships and recreational ones. Although it was known by public authorities and citizens that in specific times there was heavy traffic, there was not any knowledge and neither control to solve this problem. “Libelium helped us in an innovative and professional way to help our project to become a success”, affirms Erkan Efek, Business consultant & Architect GIS of Vicrea. Vicrea and Libelium have worked in developing a new and innovative laser solution that is able to monitor direction, distance and speed. This sensor allows to detect any ship that is crossing by a concrete point and also to know the direction towards the ship is sailing. The shipping traffic data monitored by the sensors added to Waspmote Sensor Platformsis sent out through Zigbee to Meshlium. 868 Mhz wireless technology is used to connect the gateway with Vicrea Cloud Platform based on Microsoft Azure SQL Database. From there, data can be further distributed to a live monitor or can be stored for later analysis and prediction. The solution developed between Libelium and Vicrea will help public institutions to manage the water infrastructure and also control other issues. With this deployment, there will be possible to know if the maintenance level of canals is at par with traffic density in a canal. Bridge opening and closing will be automated to improve cars and ships experiences and also to reduce waiting times. The platform will control if a boat is entering in a private or prohibit area. This monitoring system will be working 24 hours a day, 7 days a week, to give public authorities a holistic view about what is happening in their water infrastructures. Erkan Efek, Business consultant & Architect GIS of Vicrea, has highlighted that “the solution incorporates cost-effective elements and eco-friendly parts. We use solar panels for our power supply and send data wirelessly”. Sensors can be placed anywhere so each government can choose depending on the needs and the urban planning of each city. Knowing in real-time information about traffic congestion or predicting maintenance for bridges are just some of the improvements that councils can apply in their strategies for water infrastructures management. The deployment has reached the goals that the companies settled since the beginning. Data related with passing ships and also frequency will be monitored with high accuracy, costs will be drastically reduced, about 80.000 euros each year per bridge, and the system will be working with no interruption. This entry was posted in Transport and tagged Libelium, Meshlium, Vicrea, Wireless Sensors, zigbee on October 3, 2016 by Tim Cosgrove. Councils and governments are conscious about the significance of improving public areas. Not only to reduce costs, but also to show their commitment with inhabitants and tourists that visit their cities. This is one of the main reasons why Smart Cities are more than a phenomena, actually they are a reality and the trend that every public institution wants to follow. 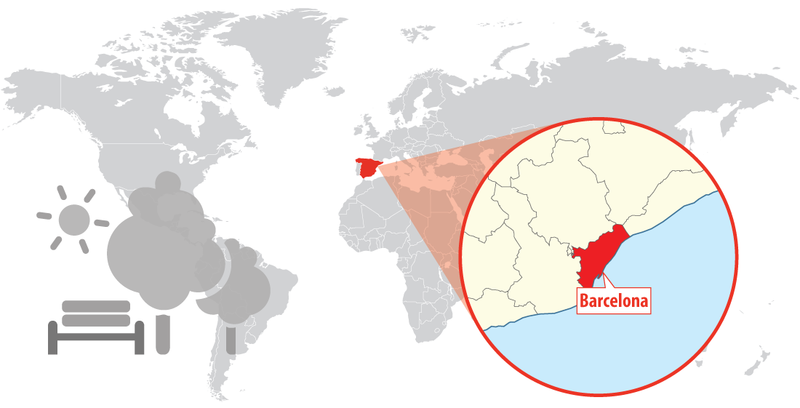 Barcelona is a great example in the Smart Cities field. With different projects to ease citizens lives, it has became one of the worldwide references of innovative and technological developments. With Barcelona Council and Starlab, Libelium has worked in a smart water project to control the irrigation system in Poblenou Park Centre. Starlab, together with other companies, has deployed a remote control irrigation system for Barcelona that will help to reinforce its Smart City status. Starlab’s contribution to the service is by soil moisture monitoring with in situ probes that use Libelium technology . The deployment is based on sensors technology and consists in allowing remote control of the irrigation system to facilitate the management of the water network. Before starting the project, each zone of the park was studied and analyzed in order to know their specific needs. TheSmartIrrigation system is controlled and monitored thanks to different soil moisture sensors which measure humidity and water flow in strategic points of the area. The deployed probes datalogger is based on Waspmote Sensor Platform with sensors probes from a third party. This fact gives an impression of the versatility of this device. It enables connection with a wide range of sensor probes that does not have to be from the same manufacturer. 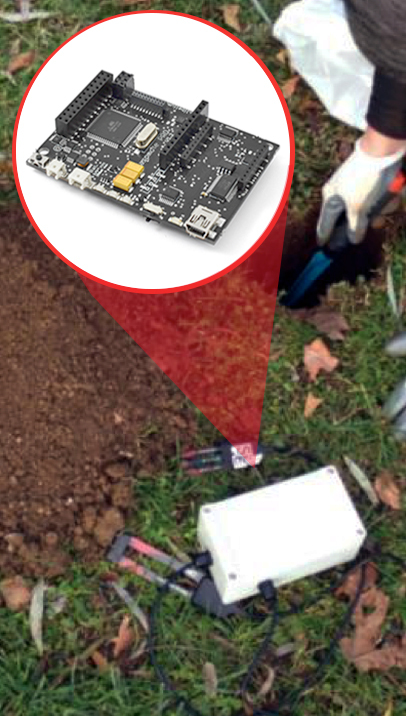 In SmartIrrigation project soil moisture probes are located underground together with Waspmote Sensor Platform, which are put inside waterproof boxes that ensure highly durability. Besides, these devices are powered by a long-life battery with one year autonomy. 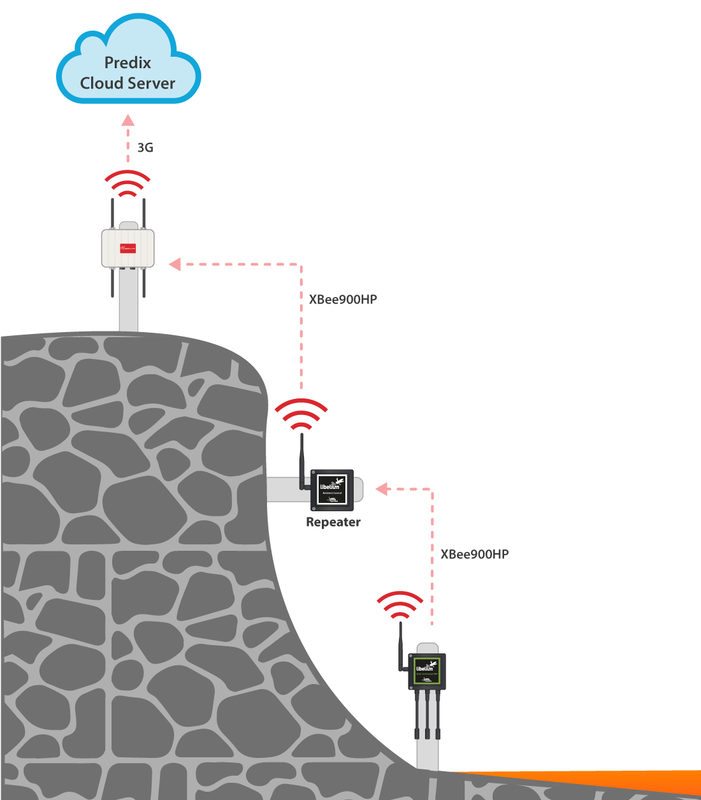 Data gathered by Waspmote Sensor Platform can be sent to a gateway or directly to the cloud. It can be done through several communication protocols, such us GPRS, 3G, 4G, LoRaWAN, LoRa, Sigfox, 868 MHz, 900MHz, ZigBee, 802.15.4, WiFi, RFID, NFC and Bluetooth 4.0. In this project, data is sent through ZigBee to Meshlium Gateway, also provided by Libelium, and from there to the cloud using 3G. All the Meshlium installed are located in the garderner huts to facilitate the communications. The information collected in the Meshlium Gateway can be visualized in a platformwhich concentrates and allows knowing the state in each zone. 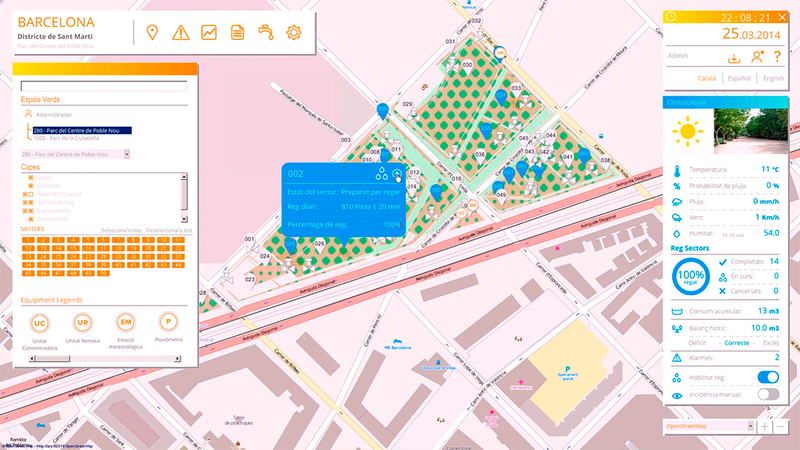 Two departments of Barcelona Council, Urban Services and Computing, have worked with Wonderware to carry out the application which can be controlled with computers, smartphones and also tablets. If your are enjoying nature, sitting on a bench or walking through Poblenou Park Centre, you will probably see some members of Barcelona Parks staff and Gardeners using tablets. This is not the way how they spend their break times, the tablets are their new work tools. The new irrigation management system allows an automatic control of the electronic valves that close or open the water flow. The Council of Barcelona led this project which is part of Barcelona Smart City project. Cristina Vila, Former General Manager of Water Cycle in the council, considered the deployment as a great success because “the system optimizes water consumption because it irrigates with the proper amount according to weather conditions and the plants’ needs“. Thanks to this new management system the municipal water bill has been cut down near a 25% in the city. Moreover, this reduction is not just about money, the water usage has been reduced too. Barcelona is saving resources such us water with Internet of Things technology and contributing to enhance the environment too. For gardeners, their daily work tasks has been eased too. Controlling the irrigation system and detecting any incidents that may have occurred can nowadays be checked in real-time. This entry was posted in Smart Cities and tagged Barcelona, Libelium, smart cities, smart irrigation, Starlab, waspmote sensor on August 30, 2016 by Tim Cosgrove. 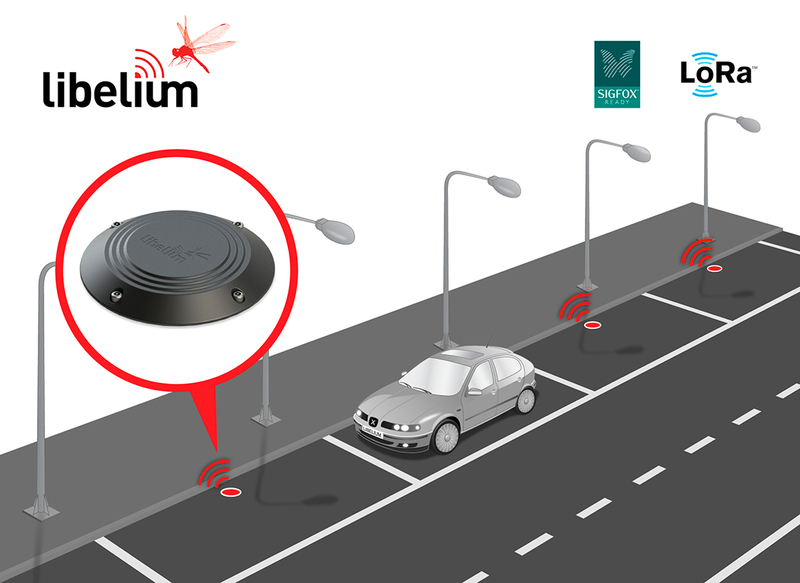 New Smart Parking by Libelium includes Double Radio with LoRaWAN and Sigfox. New surface parking device-with LoRaWAN and Sigfox- features smaller size, higher accuracy and faster time of detection facilitating lower installation costs. Today at Intertraffic, Libelium has presented the new version of Waspmote Plug&Sense! Smart Parking, the solution for Smart Cities that allows citizens to detect available parking spots. The new device is easier and cheaper to deploy as it is mounted on the road surface. Unlike most market versions, it does not need to dig a hole in the ground for installation reducing installation time from 30 to 5 minutes and allowing to be replaced by another unit in case of maintenance in just 10 minutes. The new device has a smaller size -reduced over 50%-, higher accuracy and reliability, and faster time of detection. Besides, temperature does not affect the behaviour of readings. New sensor system is fully compatible with LPWAN radio technologies –LoRaWANand Sigfox– to enable long range and low power consumption. It can be connected with both radios for the European 868 MHz band and for the 900-930 MHz band (US/Canada). One unique feature of the system is that it allows to use both radio technologies at the same time or change from one to another easily from the Cloud. With the new sensor system, one base station can give service to thousands of devices around a range of several kilometers in urban environment. This fact provides lower costs of installation since the number of base stations can be dramatically reduced. Besides, the new sensor model has been optimized for really low-power operation, so the battery lifetime is extended up to 10 years easily. The new parking node has been certified with the CE/FCC/IC marks and provides a robust software which works out-of-the-box. Developers do not need to programme the nodes but specify the values of key parameters in the firmware such as working cycle or night mode to be ready to work. Remote management and bidirectional communication allows to change several parameters of the nodes from the Cloud. This means that thousands of nodes can be reprogrammed just setting the right values from our web browser in the management platform. With Smart Parking, Libelium global Smart Cities solution covers gas and noise pollution levels, water quality control and waste management. This entry was posted in Uncategorized and tagged Connected Cars, intertraffic, Libelium, LoRaWAN, LPWAN, Sigfox, smart parking on April 5, 2016 by Tim Cosgrove.